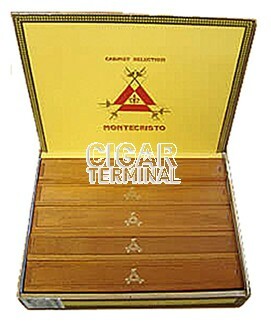 The Montecristo A is an outstanding medium-to-full Gran Corona, 9.3” (235mm) long, with 47 ring gauge, and comes in 5 varnished individual boxes. A great Classic of the Cuban size range and the most attractive for smokers of the large formats. This Gran Corona ("Great Corona") can say, like Napoleon, that is has crowned itself. Is the Habano of great events. Within the brand, it is not the strongest, although it is the most redeemed. Its length demands a wrapper of great quality, which makes its presentation something very special and with great impact. Dress Box of 5 cigars in varnished individual slide lid boxes. Very elegant and ideal for a gift usage.